Well, ring-a-ding-ding! There’s a reason why they call it the most wonderful time of the year. 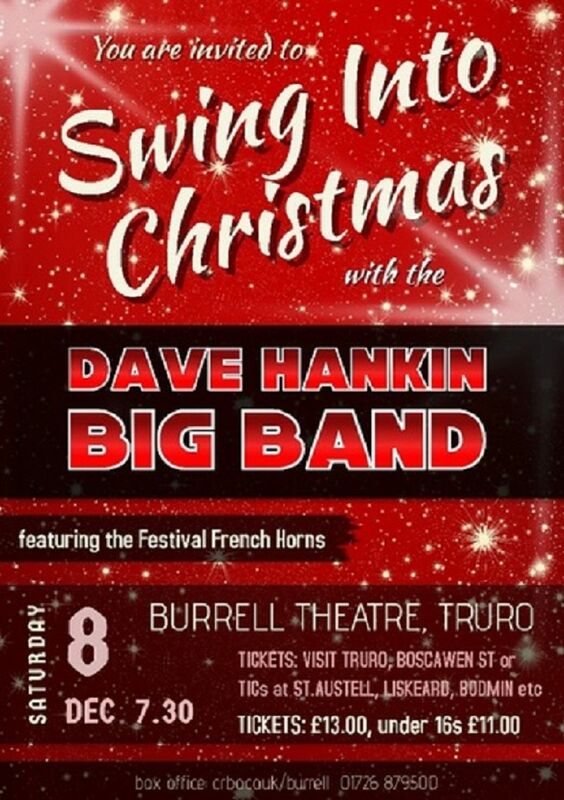 The Dave Hankin Big Band return after their knockout performance earlier this year with a fun-filled programme of festive favourites – with a swing twist! A real Christmas cracker of a programme, featuring big band settings of favourite yuletide classics such as Sleigh Ride, White Christmas, Santa Claus Is Coming To Town and Mel Tormé’s The Christmas Song – and much, much more. The perfect swinging start to your Christmas festivities!